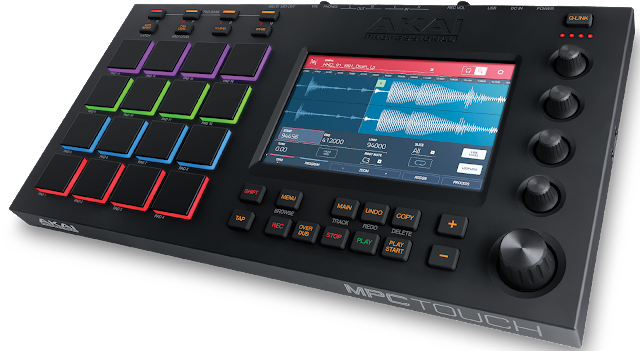 What do you think of the new MPC Touch? Akai has announced the MPC Touch which has the same attributes as their classic drum machines but now with a touchscreen. I'm a MPC fan but I'm used to the "ol' skool" 3k/2k/4k series. However I'm open-minded especially when it comes to creative tools. I hope to audition one soon to see how well the touchscreen is implemented. "The new MPC Touch revolutionizes the art of music production by combining professional grade hardware worthy of carrying the MPC shield with a hyper-intuitive multi-touch screen. The result - the most immersive music producing experience to date." Visit MPCTouch.com for more info.